Fasten your seatbelts for a flight to Paris, and never leave the ground. 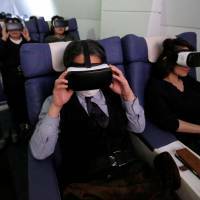 That’s exactly what 12 passengers did at First Airlines in central Tokyo last week, relaxing in first- and business-class seats, served with four-course dinners, before immersing themselves in a 360-degree virtual reality (VR) tour of the City of Lights. 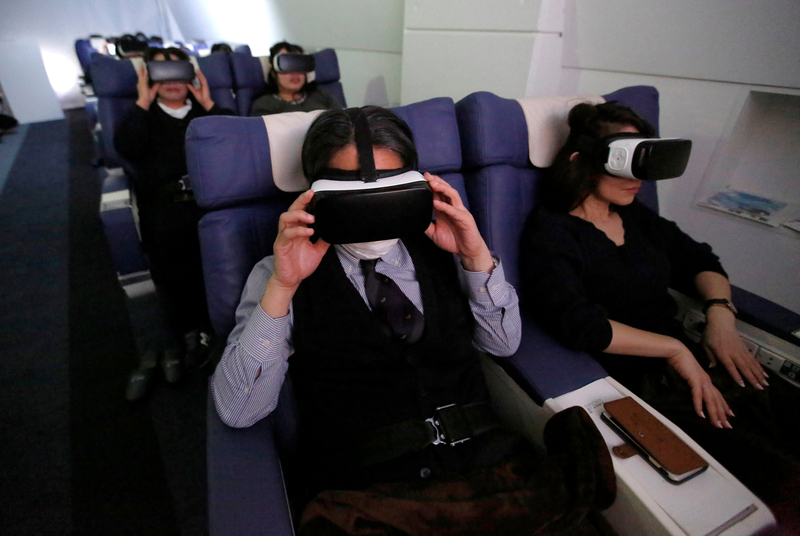 “A real trip is a hassle to prepare for, and expensive, and takes time,” said Takashi Sakano, 39, who was on his first VR trip. “So I think it is good that we can enjoy all this hassle-free,” he continued, adding that he wants to “travel” to Rome next time. At ¥6,600 ($62) — a fraction of the cost of an actual trip overseas — it’s easy to see why First Airline’s two-hour “flights” to Paris, Rome, Hawaii and New York have been fully booked since the company opened in 2016. “We have lots of elderly customers, who want to go overseas but are not able to easily given their physical limitations,” said Hiroaki Abe, manager of First Airlines. Abe noted that domestic flights around Japan will be added soon, with meals highlighting each region’s cuisine.